What is the main function of slip rings? A slip ring is, simply put, a fundamental component of a motor and with that said, it is safe to say any mechanical object you use with a motor inside, is most likely to have it. slip rings are used in a wide range of motors, from a wind turbine to amusement park rides and vehicles to a rather simple brushed DC motor; they are in more places than we know. Let us dig into what the device really is. Any electrical wound rotor motor you will ever see around you, which is mostly the case these days, chances are there are a few slip rings inside those things to make them work. 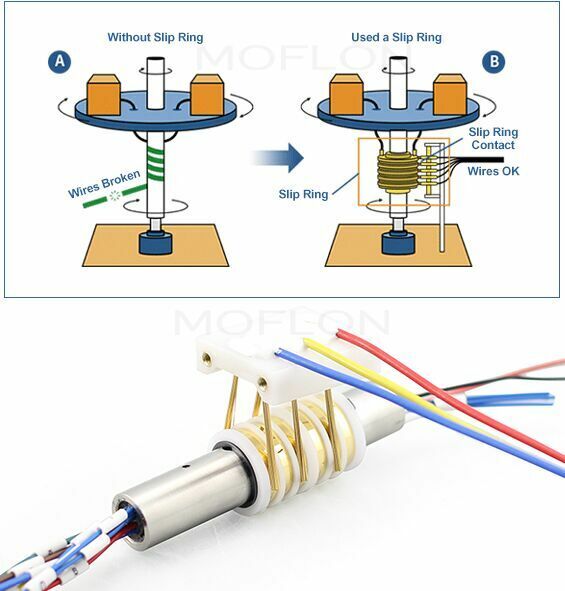 In a very basic concept, a slip ring is a useful circular device that helps to transmit electricity, data or signals from a stationary conductor, circuitry or wires to another one which is rotating. Now, it is common sense that you cannot conduct something from a stationary object to another object which is rotating without bringing them in contact with each other, but here is the problem, how do we do that without making the stationary object move or the moving object stationary? This is where an electric slip ring comes into the picture. A slip ring is an electrical transmission device which transmits energy between one stationary and one rotating component such as in a motor. Now in the present day, we have numerous machines that power our civilization and most of those machines are provided mechanical strength by rotating motors which help in the functions of those machines, be it a bulldozer or a power generator. Motors are essentially rotating devices which produce mechanical energy as a result, and to conduct energy to those rotating devices, slip rings are fitted to the rotating shaft, which touch the stationary sources of the energy, such as wires and transmit them to the motors conveniently. 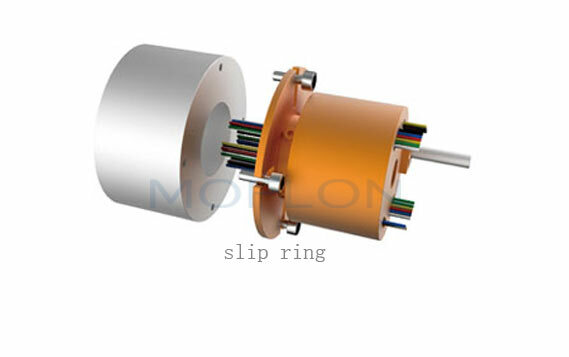 slip rings are often made of electrically conductive materials, such as copper and fitted to the shaft of a rotating motor with connective wiring going into the motors from them. The component which transmits the energy to the slip ring is called a 'brush'; it is often made with a mixture of carbon and copper and constantly touches the slip-rings, hence the name 'brush' as they constantly brush against the slip-rings. This constant touch conveys the energy flow. This clever invention saved humanity a lot of trouble and has become an indispensable component of electrical motor systems. As mentioned earlier, motors are the driving forces of industry, and therefore electric slip rings have by extension usage in a wide range of important industries including medicine, military, automation, marine, surveillance and many others. In fact, slip rings have also evolved with time and available in multiple types such as mercury-wetted slip rings, pancake slip rings even wireless slip rings to meet the needs of the day. Pri: Use of Slip Ring Technology in CT Scans: Next What are the key uses of a Pancake Slip Ring?